There’s no wonder why most of us take a pragmatic approach to shopping. Given the fast-paced, time-constrained character of modern life, it only makes sense for consumers to seek the shortest route possible to procure what they need. Hence the prevalence of “big-box” megastores and online shopping, both of which offer unprecedented speed and convenience. After all, if you have the chance to do all of your shopping in a single trip (or no trips), why wouldn’t you? Despite the practical benefits of this approach, some argue that we’re missing something by viewing shopping as a mere means to an end. Perhaps pragmatism isn’t the highest virtue of consumerism after all; perhaps there’s another element we’ve lost sight of as online retailers and corporate megastores have elbowed out the local mom-and-pops. Some surmise this missing element is community—not only the connections that exist between its members, but the very quality of life experienced by the whole. Could it be that our utilitarian shopping tendencies are squelching a critical aspect of communal society? These kinds of misgivings are inspiring more and more people to see consumerism through a new lens (call it a local perspective). As we approach the holiday season, it’s a perspective worth considering. To gain further insight, we asked five Diamond Certified business owners in the San Francisco Bay Area to talk about the benefits of shopping locally. Few of us think about where our money goes after we make a purchase. As far as we’re concerned, the point at which money leaves our hands marks the transaction’s end. In reality, such transactions aren’t merely static, one-time events; rather, they’re part of a continuous, exponential process. For this reason, how and where you shop has a larger economic impact on your community than you might realize. Local businesses live and die by the patronage of local shoppers, which is why the allure of megastores and online shopping can (and often does) have devastating consequences for small-town commerce. Some might say, “Who cares? 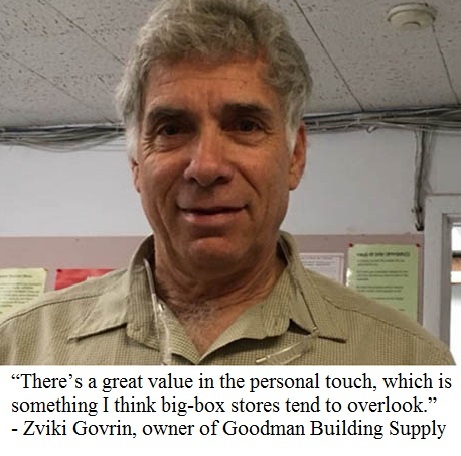 What does it matter whether our goods come from a big-box chain or a local retailer?” Such a perspective fails to comprehend the true impact local commerce has on a community. 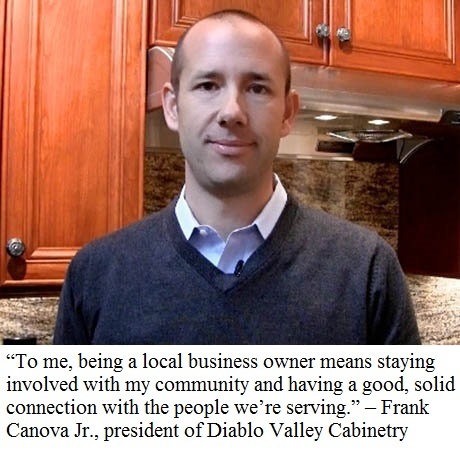 When local commerce thrives, a community tends to thrive as a result. In contrast, when local businesses are supplanted by corporate chains, a community tends to experience detrimental economic effects. The simple truth is that when it comes to a community’s economic health, online retailers and big-box megastores are no substitute for homegrown businesses. Why is this the case? There are many reasons. One is that local businesses tend to provide better jobs and higher wages than large corporations. Since owners of large corporations are typically far removed from their employees (and the communities in which they live), this results in a depersonalization and reduced sensitivity to workers’ financial needs. Additionally, when small-town commerce is throttled by online and corporate retailers, the dearth of competition flattens the local wage landscape. This gives large corporations little incentive to pay their workers well—after all, where else are they going to work? In contrast, local businesses tend to be more aware of their employees’ financial needs, and as a result, they’re more likely to pay them a living wage. 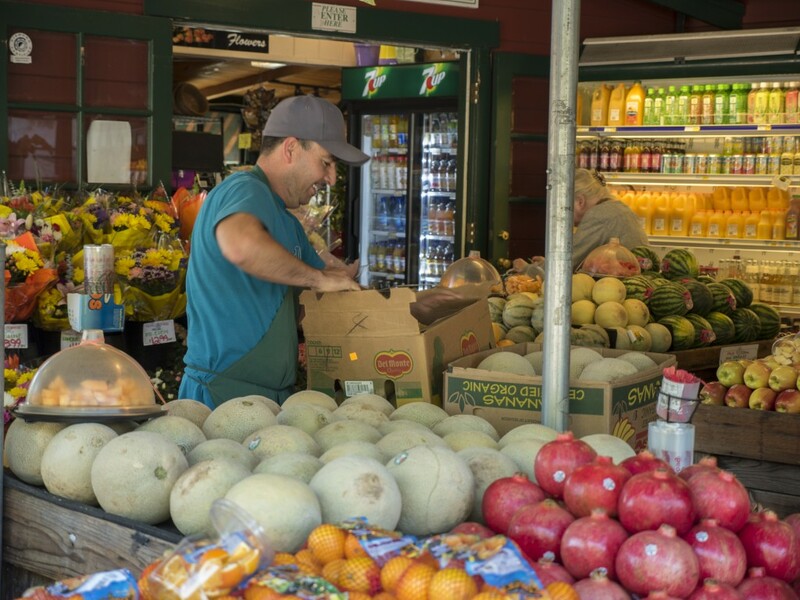 Furthermore, when a community has robust local commerce, business owners must offer competitive wages to maintain their staff and avoid turnover. This leads to higher wages throughout the community, which precipitates many positive effects. 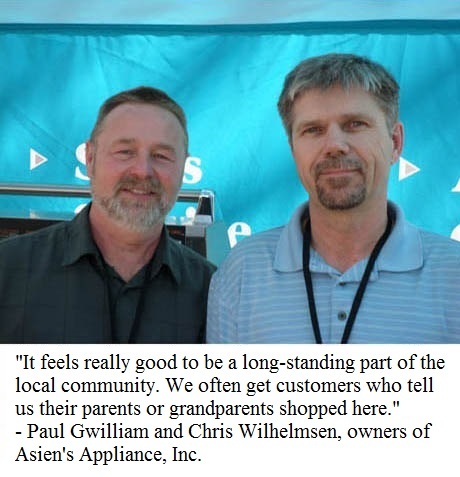 Chris Wilhelmsen, co-owner of Asien’s Appliance, Inc. in Santa Rosa, concurs. “Everyone we employ is probably making better wages and has better benefits than our competitors’ employees,” he says. “This allows them to live comfortably and support their families, as well as invest their own money back into the community.” This latter point is not to be overlooked. Statistics consistently show that where wages are higher, an economy is more likely to thrive, due to the simple fact that its residents have more money to put back into it. Considering the many ways local businesses invest in their communities, it’s in the interest of community residents to return the gesture by shopping locally. With few exceptions, the term “one size fits all” seldom rings true. Life rarely conforms to such a mold, and this is another reason to be wary of utilitarian consumerism and the megastore culture that feeds off of it. Corporate chains and megastores tend to view their clientele as an anonymous mass rather than as individuals. That’s why customization can be hard to come by at such establishments. After all, these businesses are playing a numbers game, so there’s no need to please everyone. It’s all about quantity, not quality—a real “one size fits all” mentality. Despite manufacturers’ best efforts, products occasionally fail—it’s just a fact of life. That’s why, if something goes wrong, you want someone there to take care of it. This is another great reason for shopping locally. Whereas the average corporate retailer’s idea of customer assistance entails a complex labyrinth of phone transfers and serial numbers, dealing with a local business involves far fewer unknowns. In an age when mass consumerism and depersonalization increasingly converge, local commerce remains a vital lifeline to both communal society and our uniqueness as individuals. After all, it may be true that all people are consumers, but the opposite is also true: all consumers are people, and regarding them (read: us) as a faceless mass has detrimental consequences. That’s why instead of taking our purchasing habits for granted, we need to consider their larger impact. When we step back and look at the bigger picture, it becomes clear that by shopping locally we’re not just investing in our local economies—we’re investing in ourselves. To find a local, Diamond Certified retailer or service provider, visit www.diamondcertified.org.